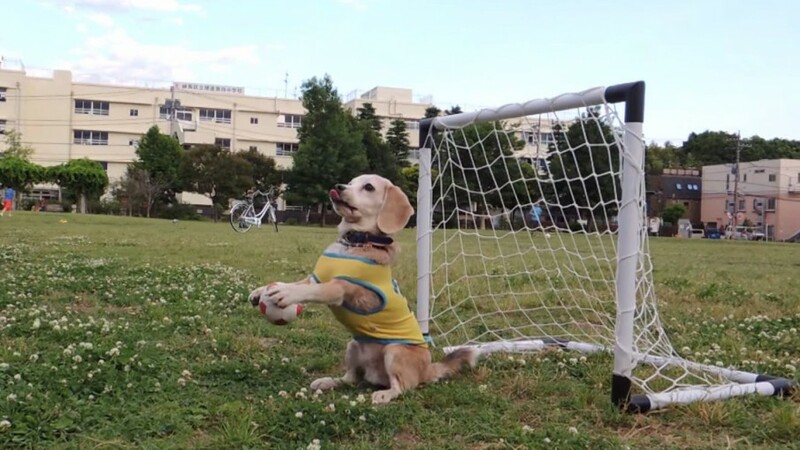 Purin the Super Beagle, an adorable multitalented dog living in Tokyo, has over forty videos of her remarkable cleverness on her YouTube channel. In the spirit of the World Cup, Purin shows off her football skills in a recent clip. This dog should be the mascot of a major football club. Really.